I started my editorial career 5 years ago as a scientific editor at Nature Genetics, less than 2 years after receiving my PhD. In 2017 I became Chief Editor of Communications Biology, a new open-access journal in the Nature Research portfolio. During this relatively short time in publishing, I have learned quite a lot about myself and what the role of the editor is and should be. The transitions I’ve experienced—from bench scientist to editor to manager—have been exciting and challenging, particularly as publishing is undergoing its own transformation. Here I share a few thoughts about what being an editor means to me and my views on the future of scientific publishing. I didn’t begin my scientific training with dreams of becoming an editor. At that time, I had no concept of what either academic or professional editors did or what a career in scientific editing would even look like. As with most young scientists, I started graduate school with the assumption that I would end up as a professor after finishing my PhD and postdoctoral training. But I now realize there had been a few signs along the way pointing toward my eventual career as an editor. While I took great joy in my research, I found that I preferred to spend my time reading papers and learning about science outside of my own research focus. I also found that unlike many of my peers, I actually enjoyed writing papers and helping others edit and write their manuscripts. One does not stop being a scientist immediately upon leaving academia. “Scientist” is not a job description; it’s a way of approaching the world. In the end, I realized that a long-term career in research was not a fit for me, for many different reasons. Does this make me a “failed scientist,” a term sometimes used by academic researchers to refer to professional editors? That depends on your definition of success as a scientist. If the goal of scientific training is to produce more professors, then I suppose I am a failure. But I disagree with this narrow view. One does not stop being a scientist immediately upon leaving academia. “Scientist” is not a job description; it’s a way of approaching the world. I apply the skills I learned in my PhD training every day as an editor: critical thinking, research skills, and data interpretation,in addition to domain-specific knowledge of the biological sciences. I am not a failed scientist. Neither are my many colleagues working as professional editors. Rather, we are scientists specializing in scholarly publishing and peer review. Before college, I had a number of jobs in fast food and retail that all had one thing in common: customer service. I learned that while the customer may not always be right, he or she always deserved respect and compassion. This lesson has served me well as an editor. From my first day at Nature Genetics, I understood that authors and reviewers are often stressed and anxious, and that they are always juggling many things at once. My job was to make decisions quickly and fairly. I truly do believe that publishers—yes, even commercial publishers—add quite a bit of value to the process of disseminating research results and making sure they are accessible and valuable to future generations. But as an editor, I believe the main value I add is alleviating some of the stress built into the publication process for academic researchers. 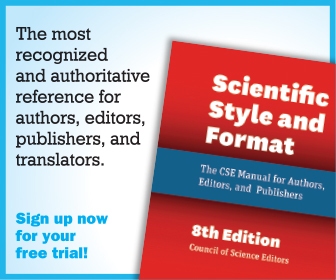 We know that a lot is on the line for our authors, regardless of which journal they have chosen to submit their manuscript to. Whether a given manuscript is rejected or ultimately accepted, I strive every day to treat each author—and each reviewer—with professionalism and respect so that they always know where they stand. Now that I am Chief Editor of a journal, it’s also my responsibility to make sure my journal’s editors do the same. I believe the editorial role is most valuable and effective when editors act as mediators with the aim of providing authors with constructive feedback focused on the facts. As a professional editor, I do feel that I have a privileged position. I have the luxury of seeing the big picture of what is submitted to the journal and how manuscripts change throughout peer review, without feeling directly invested in any single result or research area. I also realize that I hold a lot of power—I decide the scope of the journal, the editorial thresholds and, ultimately, whether any given manuscript is published in my journal. As the “publish or perish” culture becomes ever more competitive for researchers, I keep in mind my privileged position and don’t take it personally when authors or reviewers occasionally take out their frustration on me. However, I also see it as my job to make sure they don’t take it out on each other during peer review. I’ve asked authors to rethink particularly defensive or terse replies to reviewers, and I’ve asked reviewers to rephrase unconstructive or unprofessional comments. I believe the editorial role is most valuable and effective when editors act as mediators with the aim of providing authors with constructive feedback focused on the facts. The transition from manuscript editor to Chief Editor was in some ways no less drastic than my transition from bench scientist to editor. I still handle manuscripts, but I am now responsible for the overall editorial direction and strategy of the journal. At the same time, I need to oversee the day-to-day operations of the journal to ensure things run smoothly. Thus, I have to focus on both the big picture and the nitty-gritty details, often at the same time. The journal is also quite different from Nature Genetics. One very obvious difference is that Communications Biology is open access, using an author-paid article processing charge (APC) model. This means I do not need to worry about exceeding page budgets, but I do need to ensure a steady stream of content that meets our editorial criteria. Communications Biology also differs from the Nature-titled journals in that we have external academic editors on our editorial board, in addition to in-house professional editors. My job has been to develop an editorial model that allows these 2 groups to work together for the common goal of publishing high-quality, significant advances for specialized audiences across the biological sciences. As we only started publishing in January 2018, this is of course still a work in progress. <pull quote>I believe that in order to attract the best research from a diverse array of scientists, our editorial board, in-house editorial staff, and reviewer pool should reflect the diversity of the biological research community, in terms of gender, ethnicity, geographical location, career stage, and expertise. I have written editorials explaining my vision for Communications Biology (see https://www.nature.com/articles/s42003-017-0012-41 and https://www.nature.com/articles/s42003-018-0138-z2), but in a nutshell the goal is for the journal to be as inclusive as possible so that we can be a journal for the community of all biologists. I believe that in order to attract the best research from a diverse array of scientists, our editorial board, in-house editorial staff, and reviewer pool should reflect the diversity of the biological research community in terms of gender, ethnicity, geographical location, career stage, and expertise. I also view the journal as a platform for researchers’ individual voices and stories. Beyond research and reviews, we have started publishing Q&A articles highlighting the journeys of and challenges faced by early career scientists. In October, we started a Reviewer of the Month program in an effort to show the human face of peer review and highlight the fact that reviewers contribute significantly and positively to the scientific process. As the journal grows, I hope we are able to offer more opportunities for scientists’ voices to be heard. Although I am still relatively new to the industry, I have already witnessed many changes in scholarly publishing and even in the company I work for. I started at Nature Publishing Group and without changing desks, found myself at Springer Nature. In that time, we’ve seen the rise of preprint usage among biologists, technological changes and the adoption of digital first publishing, and a new focus by commercial publishers on providing services and platforms for all stages of the research life cycle—not just publication. The conversations going on right now in the scientific community examining the role and value of publishers will ultimately determine the direction taken. However, I do have hopes for what the future of scientific publishing might look like. 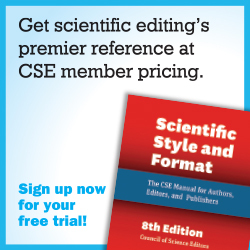 If traditional markers of prestige, such as journal brand and impact factor, become less important, I hope that researchers might consider those factors that actually signal the inherent quality of a journal: the level of author service provided by the editors and staff, the commitment of the journal to ensuring reproducible and robust science, the visibility and reach of the journal, and of course the quality of the final published content. Regardless of the changes to come in scientific and scholarly publishing, I think editors and publishers will have a role to play in facilitating the dissemination of research so that it can be used and built upon by others well into the future. Introducing Communications Biology. Commun Biol 2018;1:9, https://www.nature.com/articles/s42003-017-0012-4. 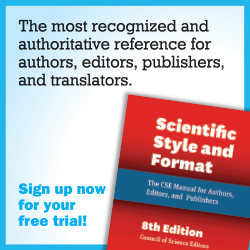 Thank you to our authors, reviewers, and readers. Commun Biol 2018;1:127, https://www.nature.com/articles/s42003-018-0138-z.